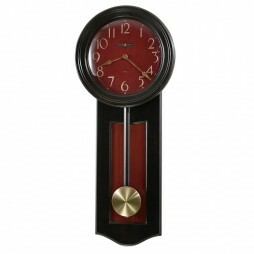 The design of this chiming wall clock is a symbol of excellent craftsmanship. 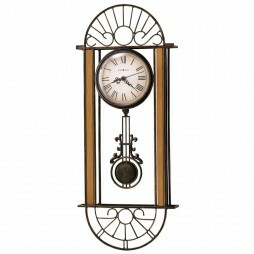 Decorative carving frame and convex glass window makes this a beautiful timepiece. 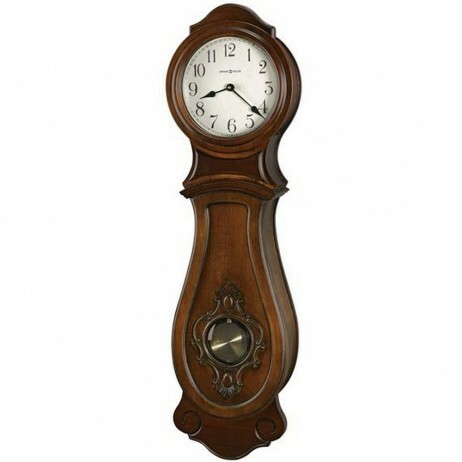 Aged ivory dial with aged black Arabic numerals and black spade hands is consummation to the grace of this timepiece. 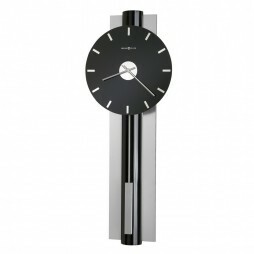 Volume control and automatic nighttime chime shutoff option will not disturb your peaceful sleep. 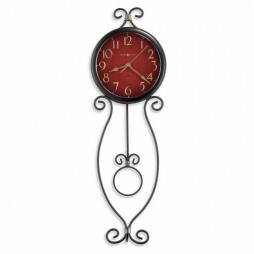 This timepiece is perfect fit for your living room and bedroom. Plays choice of full Westminster or Ave Maria chimes with strike on the hour with 1/4, 1/2, 3/4 chimes; Westminster chime and strike on the hour only; or Bim Bam chime on the hour only.